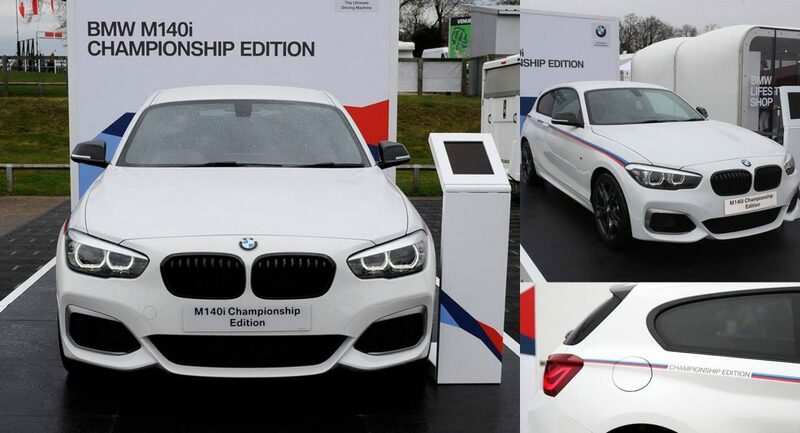 BMW is celebrating 30 seasons of the British Touring Car Championship by introducing a limited edition M140i. 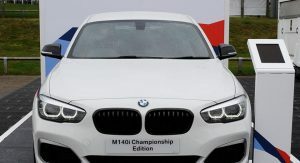 Dubbed the Championship Edition, the model is based on the three-door hatchback and features a host of minor revisions. 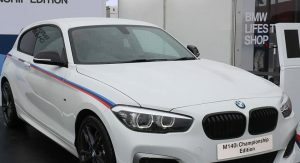 BMW hasn’t released details about the car but the images show the model will have a black grille, carbon fiber mirror caps and five-spoke alloy wheels. 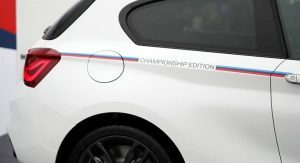 We can also see a tri-color BMW M stripe with “Championship Edition” lettering above the rear wheels. BMW declined to release interior pictures but, considering this is a fairly tame special edition, we shouldn’t exact drastic changes aside from some possible Championship Edition badging and maybe a limited edition plaque. We can expect a familiar 3.0-liter TwinPower Turbo six-cylinder engine producing 340 PS (250 kW) and 500 Nm (368 lb-ft) of torque. When equipped with the standard six-speed manual transmission, it enables the hatchback to accelerate from 0-100 km/h (0-62 mph) in 4.8 seconds before hitting a limited top speed of 250 km/h (155 mph). Buyers looking for something quicker can order the optional eight-speed automatic transmission which cuts the 0-100 km/h (0-62 mph) time to 4.6 seconds. There’s no word on pricing but production will be limited to 30 units and the standard M140i three-door starts at £33,920. Given this is a limited edition model, it will likely be a tad more expensive. 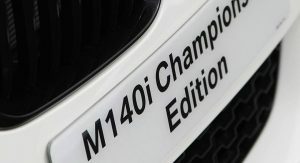 If the M140i Shadow Edition is any indication, the Championship Edition could start around £35-36,000. 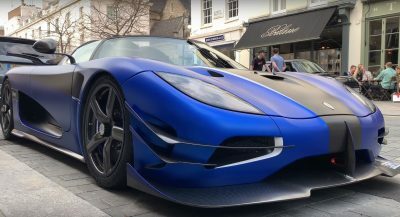 If the special costs anywhere near as much, buyers might want to check the standard model and the company’s lineup of M Performance parts as they can pick up the carbon fiber mirror caps for around £550 and forgo the tacky side stripes altogether. The # 1 BMW series is the best drivers’ car in the stable…. Hatch,small,nimble, powerful and not as “look at me” status signaling to others like the other models…. BMW are such liars. Everyone knows those cosmetic enhancements add an extra 25 horsepower. Sticker itself add 5 horsepower top. Most dull looking “hot hatch” on the market. All that money and it looks exactly like a 118d Diesel. For me, it’s the most desirable of BMW hatchback. I prefer it to 2 series.